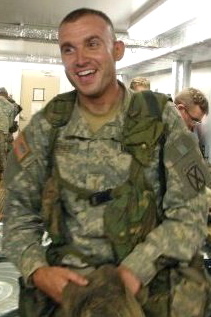 The Joseph J. Theinert Memorial Fund was founded by 1LT Joe Theinert’s family after he was killed in action during combat operations in Afghanistan on June 4, 2010. In life, Joe’s primary concern was always others. This started as a commitment to his family and friends and extended, after he was commissioned as a Lieutenant, to his soldiers and their families. Our foundation continues Joe’s mission of being ever supportive of soldiers and their loved ones.